Did you know that your carpet is the biggest air filter in the room? Everything that circulates through the office air is circulated through the carpet. 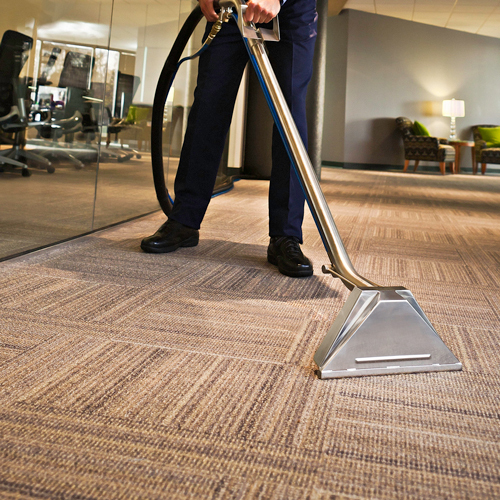 An office carpet contains high amount of dust, dirt particles, and allergens, like dust mites that need to be removed regularly in order to maintain a clean, healthy office space. A well-maintained carpet will fight the effects of wear and tear from traffic and spills, while improving your office's air quality. Performing regular carpet cleaning can extend its life for up to 15 years! Our expert staff will determine the best maintenance schedule, customized for you.